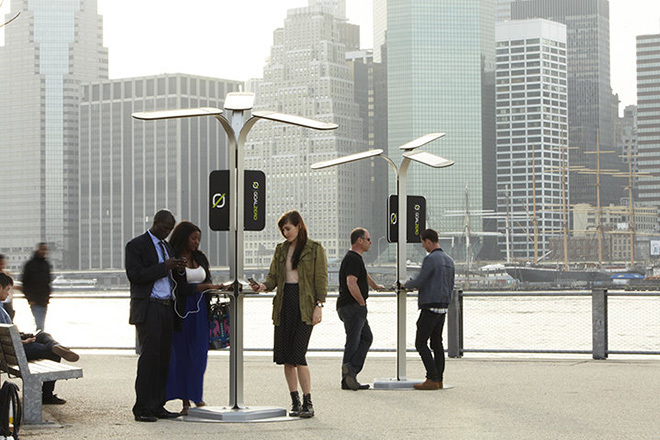 New York-based design consultancy Pensa are teaming up with solar company Goal Zero and AT&T to introduce 25 phone charging locations across New York City. 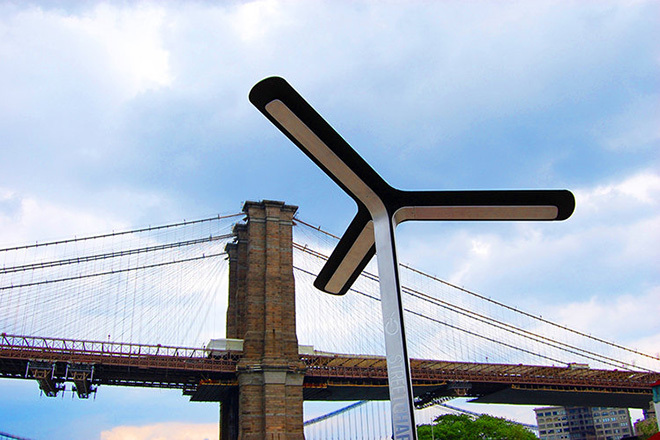 Named Street Charge, the stations are entirely self sufficient with three solar panels and can be dropped anywhere in the city, such as a patch of asphalt or a patch of grass in a park, helping to fill the city’s electricity dead zones. 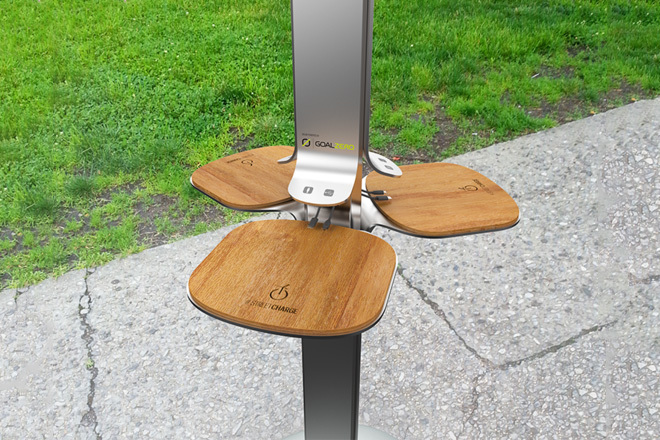 “We wanted something that looked like it fit naturally in those natural environments,” said founder Marco Perry when speaking to Co.Design. “It’s a little bit organic, but it’s a little bit industrial. It kind of looks like a flower, but so little that it’s not kitschy. It’s more of an abstraction.” The units will run for 90 days on the exclusive contract with AT&T, but will hopefully become available on a more permanent basis soon.